In an effort to get a quick blog update in before the holidays, Carlos V. Chad K. and I agreed to do a Pixar related post. The twist: choose a Pixar character and make em into a warrior. 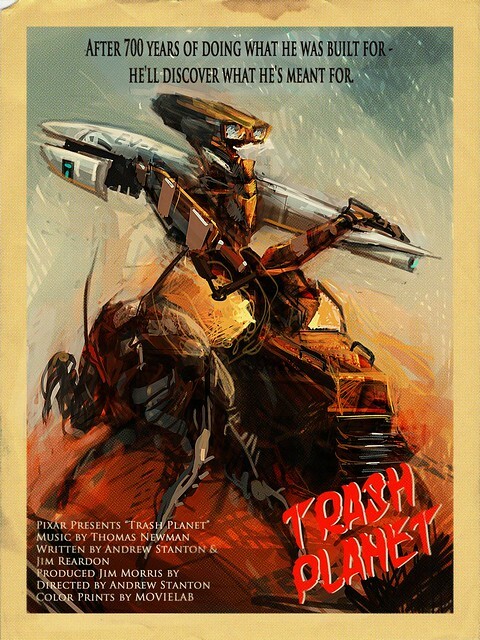 I remember reading somewhere that the working title for Wall-E was "Trash Planet" and thought it would be cool to make an 80's B-movie poster of that. It's Wall- E meets Mad Max!